The title is currently available via Steam Early Access with one campaign to check out, but once it launches in July, there will be two full campaigns spread across a total of 10 missions. Based on folks' time with that Early Access version, it sounds like the title is "Left 4 Dead meets aliens," with a couple twists along the way as you can 3D print your own guns and construct defenses to fight off your foes. That was very much the intent of the developers as, like so many of us, they were fans of the cooperative nature of that zombie shooter and the stories that emerged from players' time with the game. 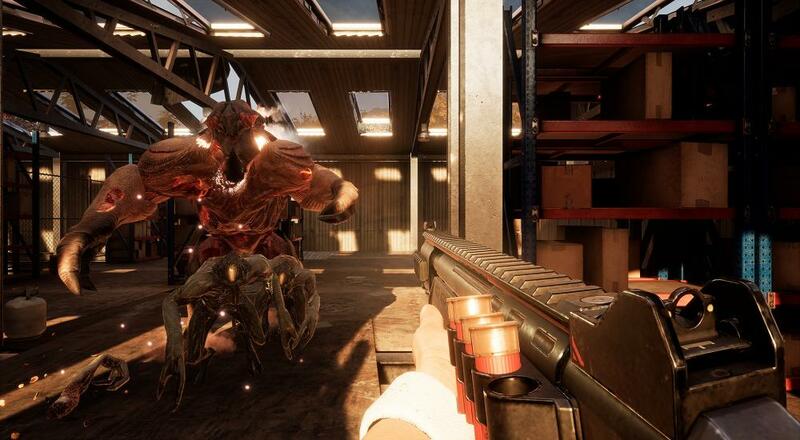 Earthfall will release across all platforms (PC, PlayStation 4, and Xbox One) on July 13. It will retail for $29.99, or you can pick up a Deluxe edition for $39.99 that includes some exclusive Hazmat character outfits and weapon skins. It's worth noting that if you want to play this on PC, you might want to pick it up now for just $14.99.